Ask yourself: when was the last time you opened an email with the subject line “URGENT!! !” or SOMETHING IN ALL CAPS? The answer is probably never or at least a long, long time. Over the years of sleazy spam hitting our inboxes, the general public has come to a collective consensus on what they should and shouldn’t open when it comes to email. The subject line of your emails is like a first impression, you never get a second chance to make a great impression. This is the gate-key to unlocking your message. It’s what draws your customers in and gets them to click “open” instead of throwing it in the trash. 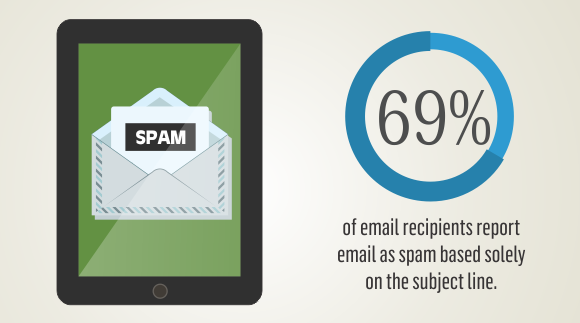 In fact, 35% of email recipients open email based on the subject line, alone. That’s why writing better email subject line is key to unlocking a successful email marketing campaign. Freebie Alert: Click Here to Download 5 Free Abandoned Cart Email Templates Now! With a whole slew of information on this subject online, we’ve put together an easy to follow list on crafting the best email subject line. Here are some of the best tips and tricks to writing great subject lines. Growing up in a Navy household, my father would always tell me to use the K.I.S.S. method whenever I started working on a new project. This handy naval acronym stands for “Keep it simple, stupid.” The K.I.S.S. principle states that most systems work best if they are kept simple rather than made complicated; therefore simplicity should be a key goal in design and unnecessary complexity should be avoided. This holds true when it comes to your subject lines. 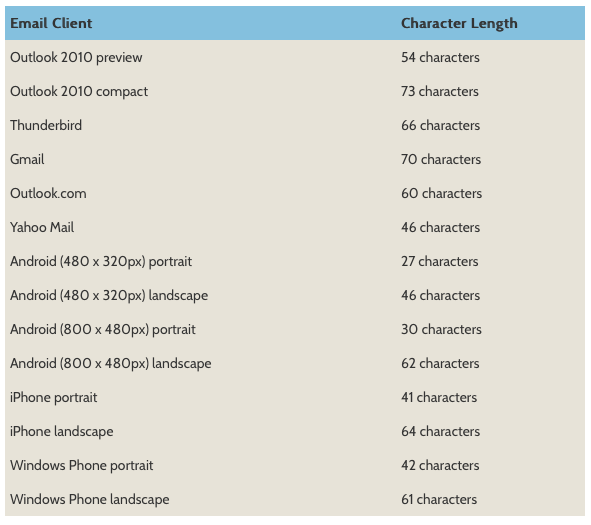 The number of characters that display across common devices and clients. A typical inbox reveals about 60 characters of an email’s subject line, while mobile phone show about 25-30 characters. With two-thirds of emails being read on mobile devices keeping your subject line short, around 30 characters, and simple will ensure a higher open rate. An added bonus of keeping things short and simple is eliminating embarrassing word clipping like “license” being shortened to “lice”. Just remember to K.I.S.S your emails before sending them off into the ethernet. 2. Eliminate the Spam #Where’sTheBeef? Going back to the start where we asked you when the last time you opened an email with the subject line “URGENT!! !” was. How did that subject line feel to you? A bit spammy right? Subject lines that are aggressively salesy are often the ones that end up being tagged as spam. Looking at our example above, what jumps out the most as spammy? The loud punctuation or using all caps is a good start, also the excessive exclamation marks aren’t helping either. By eliminating those two aspects, along with any overtly promotional language, and focusing more on offering your expertise or sharing useful information will dramatically improve your open rates. Most people don’t open emails from unfamiliar contacts and these emails can easily end up being filtered out by spam protectors. Obviously, one way to try and fix this is to remind customers to add you to their contacts list, but that’s just an extra step the customer has to take and probably won’t. Instead, send an email from a real person, this lets them know that they aren’t just talking to a generic robot or brick wall. An example of what a great sender name would look like is Andrew Figgs, Red Rokk. Not only am I telling the customer where I’m from, it also adds a touch of personalization, letting them know that if they have a question or need anything, Andrew is who they can ask. Instead of saying “Hey, you!”, which is what I say at parties when I forget your name, you instead can say “Hey, Andrew!” This adds a personality and makes your reader feel special and more likely to open your emails. Just how much more likely? 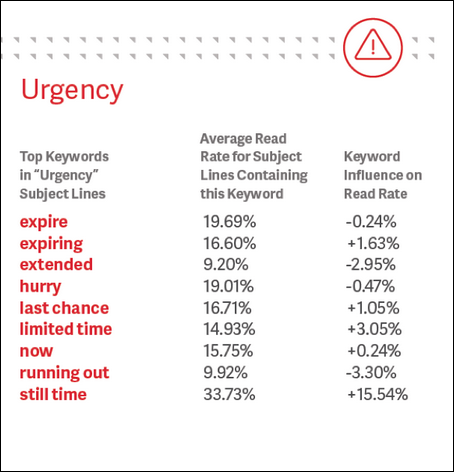 According to an Adestra study, personalized subject lines are 27.6% more likely to be opened. But try not to overdo it with the personalization. If every other word is the person’s name it comes off a little creepy, needy, and insincere. Ex: “Hey, Andrew. Check out these great sneakers, Andrew will enjoy. Andrew.” If I got that in my inbox, I wouldn’t think twice about unsubscribing. I’m sure we’ve all been on those bad dates. You know the ones, where all the other person does is talk about themselves the entire night (looking at you, Dana). All you can think about is how obsessed the other person is about themselves and how soon the date will be over. Well, the same goes for email. To keep your date (or customer in our case) interested, the best course of action is to ask engaging questions. Questions focus your reader’s attention and pique their curiosity, inspiring them to open your email and search for answers. It also lets them know that we’re thinking about their needs and trying to be there for them. A good example for an outdoor eCommerce site might be: “[Last Chance] Do You Have Everything You Need to Conquer Summer?” This not only includes a sense of urgency but also get’s your customer thinking about items they still need for summer and what you have to offer. This does not mean you can still use “Urgent!! !” in your subject lines. What it does mean is that you should use urgent language such as Offer Expires, One Day Only, or Clearance Sale, so your audience feels as though they must open your email immediately, or else they’ll miss out. The shorter amount of time recipients have to act, the more compelled they are to do so. Subjects that evoke a sense of urgency and exclusivity receive a 22% higher open rate, according to the Email Institute. Consider sending a series of emails, with the subject lines letting your customers know, when the sale is going to start, how long it will be, and when will it end. This is a perfect opportunity to send a “there’s still time” subject, one of the top performing emails. 25% Off, Boost Revenue by 200%, 5 Ways To Increase Sales, what do all these subject lines have in common? The letter O of course! Well, that may be true, but the real answer is numbers. A lot of emails get a bit too wordy and most people don’t seem to have the time or patience to read through a long message. They want to be able to open your email and get the gist of your message as fast as possible. In fact, studies show that the average person spends between 15-20 seconds reading the emails they actually open. Using numbers breaks up the monotony of text and makes grabbing the important information fast. Using email is a great way to offer value to your customers. Maybe you have a new ebook to giveaway or a How-To guide, it could even be as simple as a discount code. Whatever you choose to give to your customers, talk to their self-interest. 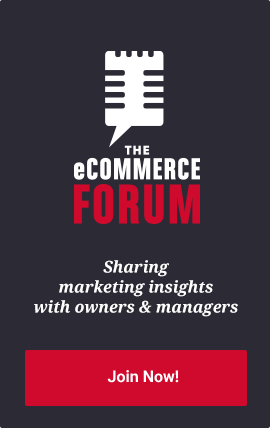 Let your customers know that by opening their email this is what they are going to get. Your subject line should tell them upfront that, hey, if you click and open this message, you are going to get x y or z. It’s the bait that draws them in. Here’s an example of one of our subject lines offering value: [Download] 10 Simple Ways To Boost Abandon Cart Revenue. As you can see, we are telling them right away that if they open our email, they’ll have a downloadable item waiting for them. Simple, to the point, and offering value, what’s not to click on?! One quick note that shouldn’t need to be said, but is too often seen. Don’t offer something if it’s not in the email. Deceiving people deteriorates trust in your brand and will lead to people unsubscribing from your list. Segmenting your email list is a great way to send targeted emails to those interested in a specific piece or type of information you offer. 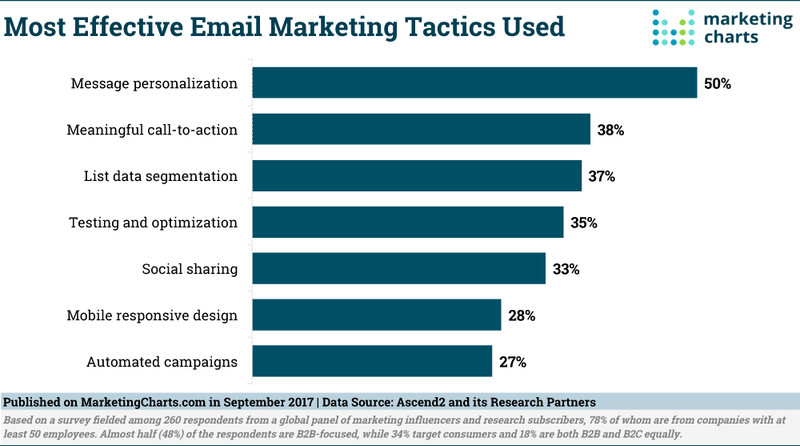 While email blasts might work for some, if you create segments you’ll be able to start tailoring specific subject lines to your audience. By capitalizing on conversion-centric email marketing, social media, online giveaways, and abandoned cart emails, we significantly increased brand loyalty, awareness, and most importantly—eCommerce sales. Segmenting uses the information you’ve already obtained from your customers, such as their interests, gender, geographical location, and birthdates. Using that information you can easily send emails with specific subject lines like “Happy Birthday Kim!”. This email, “72% Off Chuckanut Bay Distillery Tour”, from Groupon is a great example of targeting a specific location. If I was living in Kentucky instead of Bellingham, WA and got that message I wouldn’t know what to think except maybe I should unsubscribe (oh, no!). But by sending it to individuals located in and around Bellingham, Groupon was able to tailor my user experience to what’s near me. 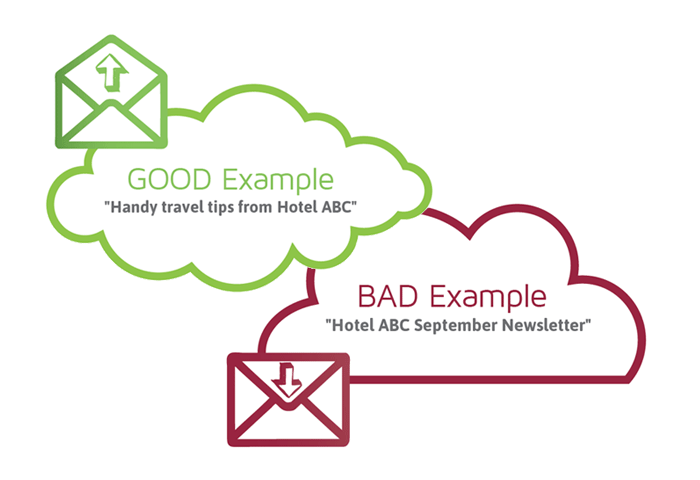 One of my favorite tools in creating the best subject line is A/B testing. I get to send the exact same email out to my subscriber list, changing only the subject line. In return, I get to see exactly which subject worked best and which delightfully failed, giving me valuable feedback on what my customers respond best to! What works best for some customers may not work as well for others. Questions or statements? Including numbers or not including numbers? Long or short subject lines? It’s all about figuring out what works best for your specific audience. If you need help or want to get started right away, you can contact us directly at 360-747-7401 or shoot us an email. We’re ready to get Rokking, are you?